Details of car above: 365 CUI., 350 HP, numbers matching car includes options such as dual four barrel carburators with batwing air cleaner, continental kit, signal seeking radio. 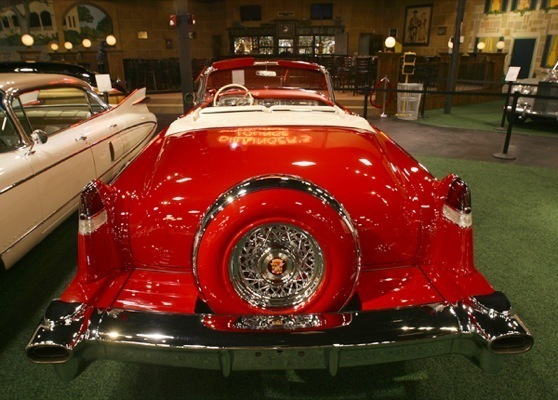 The Series 62 was a series of cars produced by Cadillac, designed to replace the mid-sized Series 70 in 1941. 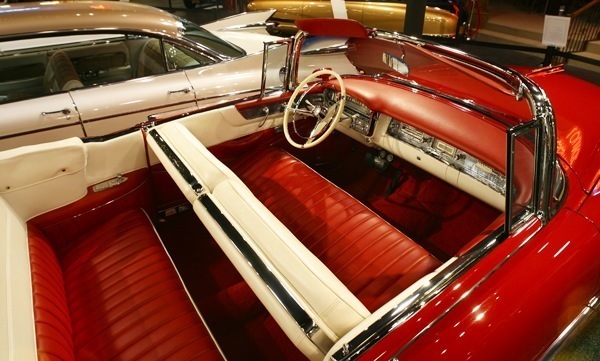 It remained in production through 1964, having been renamed Series 6200, when it was replaced by the Cadillac Calais name. 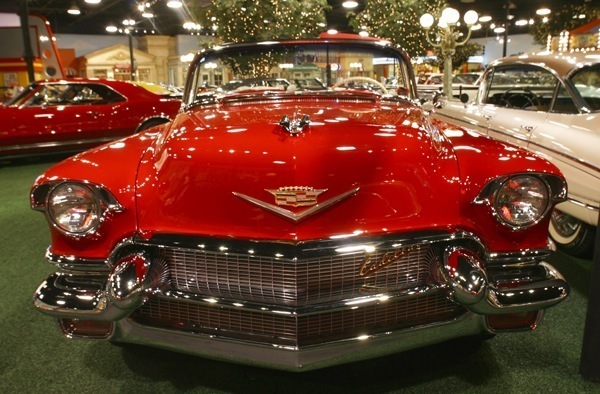 The chassis was redesigned for 1954 with a new 129 in (3277 mm) wheelbase for the sedan and Eldorado. The engine now produced 230 hp (172 kW), with 250 hp (186 kW) coming for 1955. 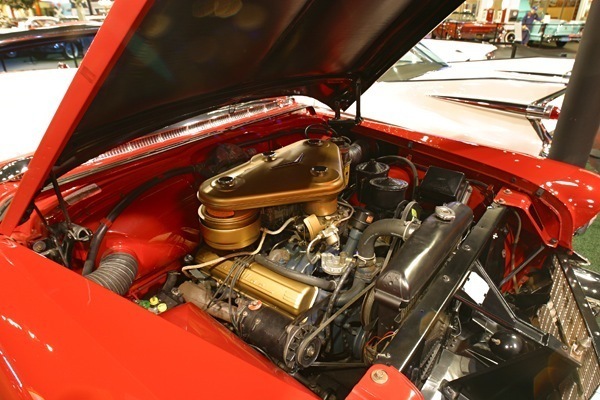 An optional dual-four barrel carb setup boasted 270 hp (201 kW). 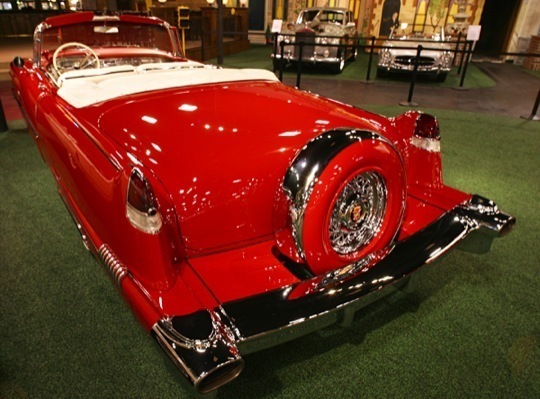 The Sedan de Ville model bowed in 1956 as a hardtop version of the standard Series 62 sedan. 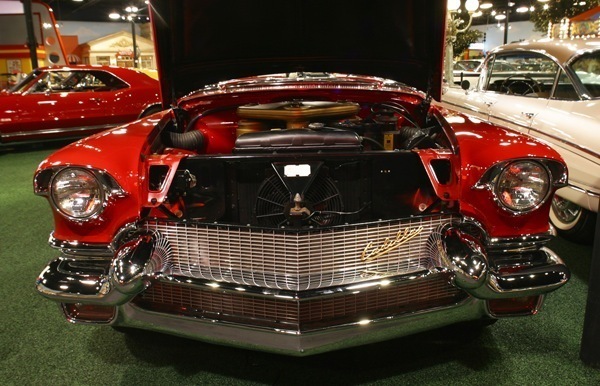 The engine was stroked to 365 cubic inch for 285 or 305 hp (213 or 227 kW). 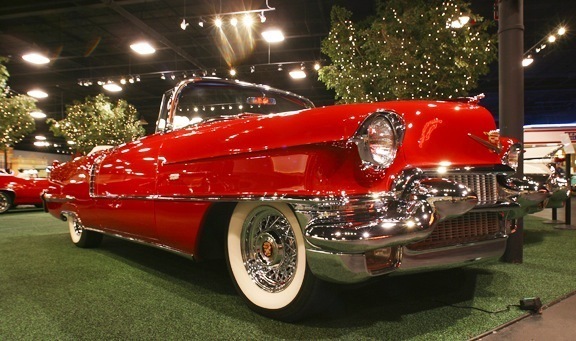 The 1956 models were, according to the copy writers that year,the most inspiring motor cars the world has ever seen. 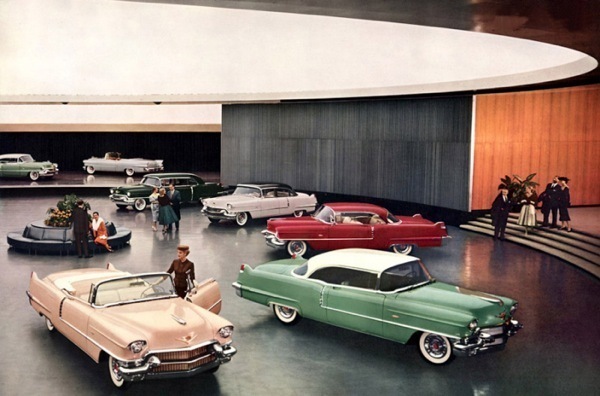 The de luxe product catalog for 1956 is in fact a desirable collector’s item. 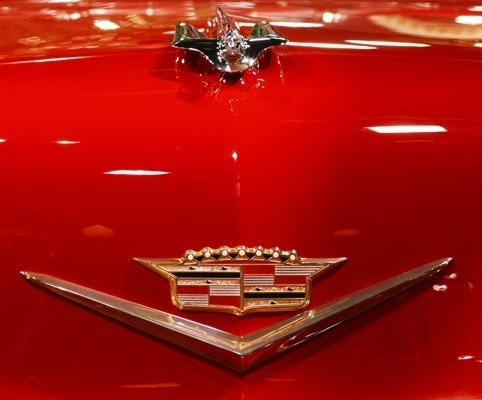 The stiff, off-white front cover is embossed with the Cadillac “V” and crest and marked 56 Cadillac in gold and black script. 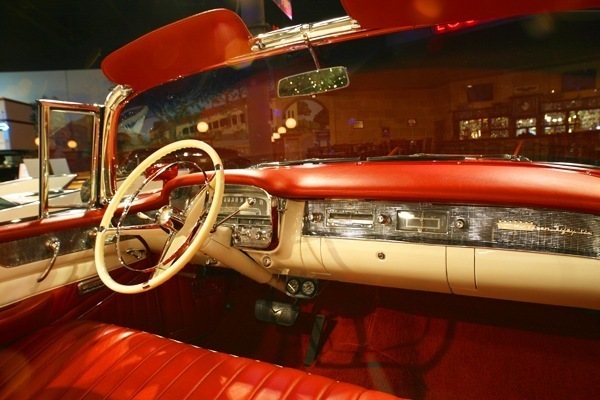 In those days, artistic license allowed the auto manufacturers to stretch, widen and lower their cars; that would change in the late sixties when manufacturers were obliged to use photography to advertise their products. The wide-angle lens then became a popular accessory with the advertisers! 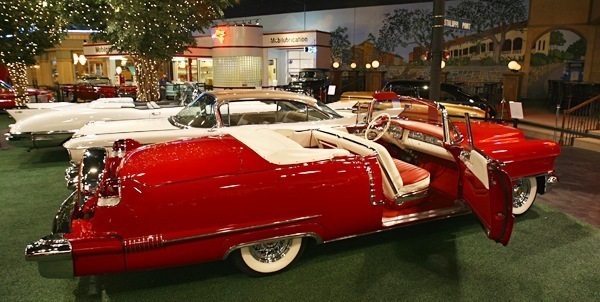 This year’s increased range of models was presented in this order: the Sixty Special sedan, Sixty-Two coupe, Sixty-Two Coupe de Ville, Sixty-Two Sedan de Ville, Sixty-two sedan, Sixty-two convertible, Eldorado Biarritz convertible, Eldorado Seville coupe (new for 1956) and the Series Seventy-Five. 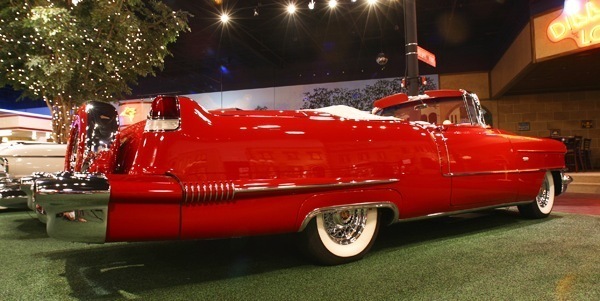 The styling of the 1956 models was quite similar to that of the previous year’s models, with only minor detailing changes. 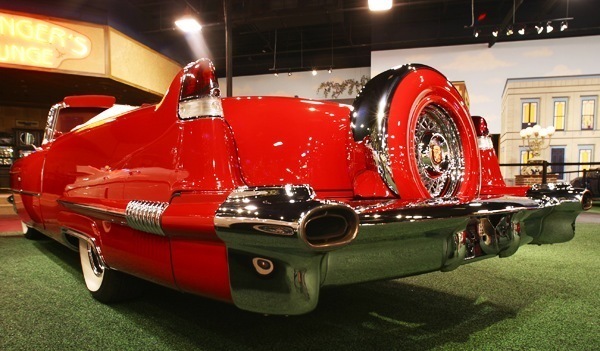 Principally, the grille took on a fine-mesh appearance and a fine chrome molding was added to the top surface of the rear fenders. 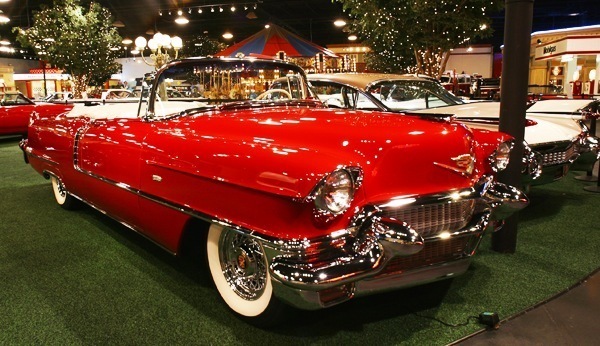 Gone was the Cadillac script on the front fenders; it was replaced with an elongated and gilded Cadillac crest; some models got their name in script in addition to that crest. 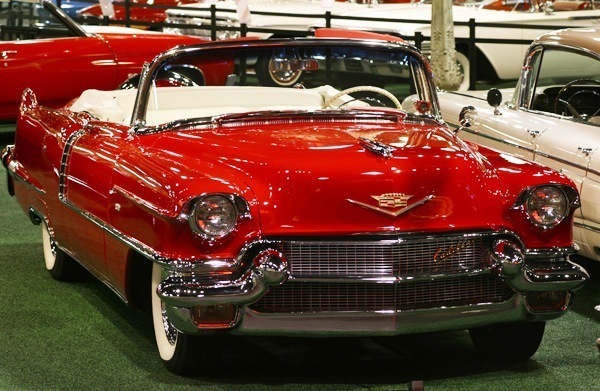 The distinguishing mark of the 1956 Cadillacs is the gilded Cadillac script set diagonally across the top half of the grille, on the LH side. 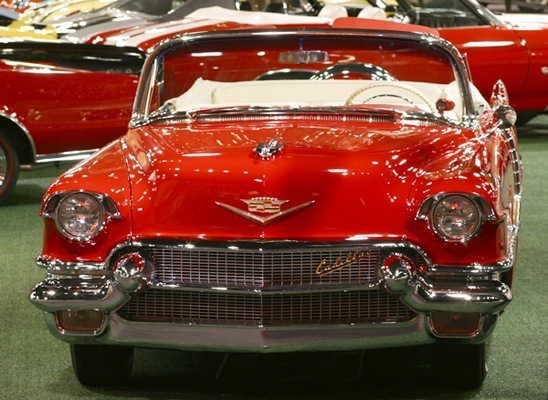 In addition, the 1956 models are the only Cadillacs to have the date (Nineteen Fifty-Six) written in script on the RH side of the instrument panel.